Stetson University School of Business Administration’s M.E. Rinker, Sr. Institute of Tax and Accountancy announced two significant changes including a new tax track and alternative delivery formats for the Master of Accountancy (M.Acc.) program beginning in fall of 2018. With the demand for accountants and auditors projected to grow 10 percent from 2016 to 2026, faster than the average for all occupations, the M.Acc. program changes will now position Stetson to better meet these demands. Students who plan to focus on taxation, whether with a CPA firm, governmental agency, or corporation, may now select a tax track specialization comprising three online courses. The courses will count toward the 30 credits to graduate and will include Tax Research, Taxation of U.S. Corporations and Taxation of U.S. Partnerships. 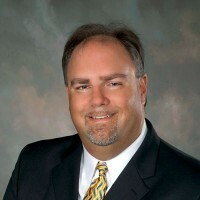 “There is a demand in Central Florida for professionals with a specialization in tax and Stetson’s new tax track will fulfill this,” explained Mike Bitter, Ph.D., director of the M.Acc. program. 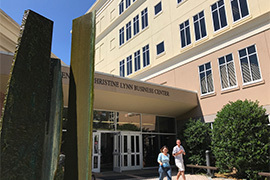 The School of Business Administration is housed in the Eugene M. and Christine Lynn Business Center. Recognizing the unique needs of students in the age of technology, the M.Acc. program now offers two delivery formats for students to choose from: hybrid and online. The hybrid program offers the required M.Acc. core on the DeLand campus, with each course including both in-person classes and online work. Students enrolled in the online program can complete the entire program online without any residency requirement while still experiencing a significant amount of faculty engagement and involvement. The M.Acc. program can be completed in as little as one year and is designed to complement preparation for the CPA exam and/or meet the 150 credit hours required by many states for CPA licensure. For more information, visit Stetson University online.